Dropping some zeroes from Indonesia’s currency has long been touted by the country’s central bank, community groups and lawmakers, but is this recent public discussion different? Will we soon be seeing the end of the thousands? The plan has been in the works since late December, when Bank Indonesia announced it would push for redenomination for the second time in three years. It has been gradually gathering momentum again after Bank Indonesia Governor Agus Matowardojo reiterated the call in May, saying that if it began then it could be fully implemented by 2025. Bank Indonesia leaders and supporters of the move are quick to quell fears that a redenomination will impact the purchasing power of the rupiah. “Redenomination is a matter of simplification,” Bank Indonesia Senior Deputy Governor Mirza Adityaswara said in December, as reported by Bloomberg. The proposed plan would see the central bank remove three zeroes from rupiah notes and coins. This would see Rp.500 coins becoming Rp.5 and Rp.100,000 notes becoming Rp.100 notes and so on. While redenomination is a large scale project, it has occurred in several economies with minimal impact on purchasing power. Prices would be adjusted in line with the changes, but for many businesses which already drop zeroes from menus and price lists to ease customer use, the difference will be minor. The sheer scale of the rupiah has made financial services unruly. Banks and government budgets must now deal with sums reaching trillions, with the number of digits involved increasing the risk of errors in accounting. 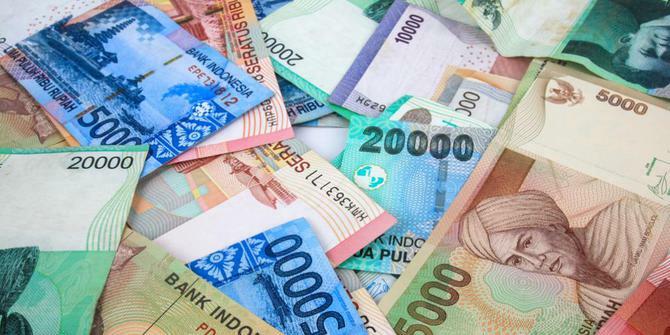 The rupiah is also one of the highest denominated currencies in the region. The cutting of three zeroes will bring it in line with most of Southeast Asia. President Joko ‘Jokowi’ Widodo was seemingly impressed with the plan when Bank Indonesia first raised it in December. He ensured it would be included in the 2017 Prolegnas, or national priority legislation programme, demonstrating his acknowledgement of the need for at least a discussion on the change. Bank Indonesia’s Adityaswara was adamant this year is the best time to overhaul the rupiah. “Now at this time, it can be done. The exchange rate has been turbulent but it won’t have too much of an impact. The main thing is that the economy must be stable,” Bloomberg reported. This month, Matowardojo relaunched his campaign but warns it would now take around 11 years for full implementation – and that is only if the regulation is finalized by the end of the year. Still, now is as good a time as any, he says. “The political and economic conditions are currently stable,” Matowardojo said Friday, July 21, as reported by Tempo. Bank Indonesia will meet with Jokowi and representatives from the Law and Human Rights Ministry as well as the Finance Ministry before proposing a draft bill to be debated by the House of Representatives (DPR). Representatives from the central bank and the House Commission XI, which oversees financial affairs, and members from all parties in the DPR met Monday, July 17, to discuss the draft bill. Matowardojo told media that while Jokowi previously indicated his support for prioritizing the bill, it has recently been put on the backburner while the government and DPR deal with several draft bills relating to the tax amnesty programme. The draft bill will eventually find itself before the president’s cabinet before reaching the DPR. “If the draft bill is agreed upon by the cabinet in a plenary session, then the bill will need to be discussed in Indonesia’s House of Representatives, possibly somewhere in late-2017,” Martowardojo said, as reported by Indonesia Investments. Martowardojo predicted the deliberations will take just a short time as there are only 17 articles in the bill.